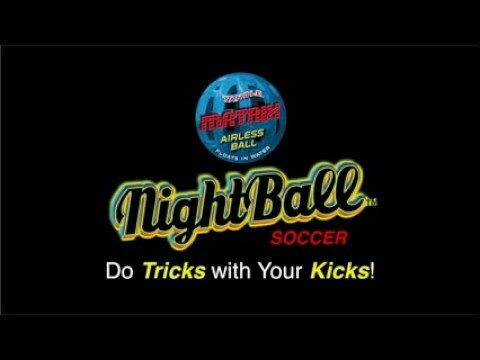 Tangle Sportz Matrix NightBall Soccer - Nighttime Soccer Just Got Real! What would be more awesome that a game of soccer in the dark? Nothing! Have you ever found yourself daydreaming about playing a game of soccer in the dark and thought “If only we had a glow in the dark soccer ball to kick around…”. Well, there is finally a solution to that problem. The Tangle Sportz Matrix Nightball Soccer ball is completely water-proof and when you kick it in the water (lake, pool, etc. ), it actually floats! It’s activated by movement. Kick it and watch it glow. Designed to play at night, but can be used whenever you have a hankering to play soccer, even during the day. Are You Looking For Something Other Than The Tangle Sportz Matrix Nightball Soccer? If so, click on our SHOP menu option above for more of our great gift ideas for kids!